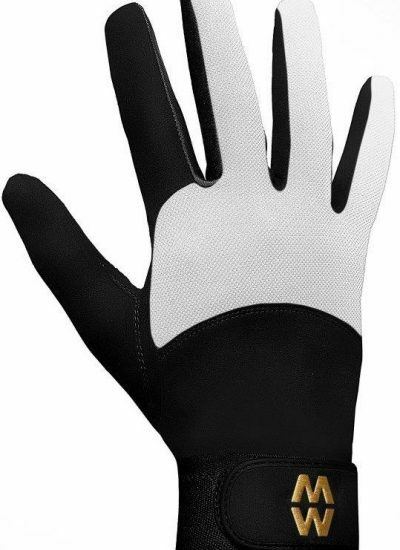 I have played quite a bit of golf in my life and I remember vividly the white leather golf glove that I wore. I remember it being slightly restricting, especially if you had played on a rainy day and the leather had just dried up, getting all stiff and uncomfortable. Just in general, I remember feeling as though I slightly lost the feeling of being one with my golf club of choice. So when I tried on this pair of MacWet gloves, I started remembering my sometimes awesome and sometimes dreadful days on the course and how much I would’ve benefited from a pair just like this back then. 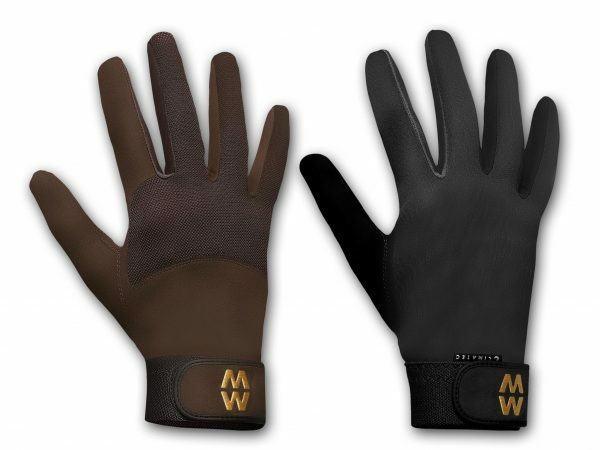 MacWet gloves are amazingly soft and comfortable, not restricting you in any way. It almost felt like having no glove at all. Being from Sweden – where we tend to hit the course as soon as the grass is good to go but it still being pretty nippy outside – I can tell that the Climatec glove from MacWet is perfect to stay warm and have that comfort but not lose the connection with the club. However, I didn’t stop there. I go to the gym a lot, I lift weights and use some of the machines. I learnt that this is also a good place to use the MacWet gloves. You see, some grips on certain machines or weights can be quite rough and with this glove it actually felt really nice. Wearing a pair with a short cuff was perfect, as it didn’t restrict my movement. So what are they made of to have these excellent features? They are made of a fabric called Aquatec that responds perfectly to climate change while still allowing perfect grip, sensitivity and comfort at any type of weather. They use a technology with “wicking” properties, which pulls the moisture away so that it basically doesn’t penetrate through the glove onto the skin. This is very important from a golf playing point of view. They’re like a second skin with this feature and also because of their amazing fit. The MacWet glove started out as a waterskiing glove here in the UK but quickly grew into a very versatile accessory, now being used for everything from riding, fishing, golfing and hiking amongst many others. Some amazing people who use and enjoy the MacWet gloves are senior golfer Gary Wolstenholme MBE and Olympic dressage professional Laura Bechtolsheimer. It’s used widely amongst professional athletes in different sectors, there are to this date 35 different sports of which can benefit from use of the MacWet glove. I highly recommend the MacWet range for those active days whether you’re out scoring below par on the 18th hole or walking your dog in a beautiful park. Have a look at their products on the MacWet website.